Ora Lee Roscher, 92, of La Grange, Texas passed away on July 2, 2018. Visitation will begin at 12:00 p.m. Friday, July 6, 2018 at Fayette Memorial Funeral Home. The family will receive friends from 5 to 7 p.m.
Funeral services will be held at St. Paul Lutheran Church in La Grange on Saturday, July 7 at 11:00 am. Burial will follow in the La Grange City Cemetery. Ora Lee was born on August 7, 1925 in Rutersville to Charles Maas and Lydia Voelkel Maas. She attended Harms School. She married Eroy Roscher on April 22, 1961. Ora Lee was a homemaker and an avid gardener. She was a very good cook, enjoyed entertaining guests in their home and enjoyed being outdoors. She worked at Lukas Bakery for a number of years. 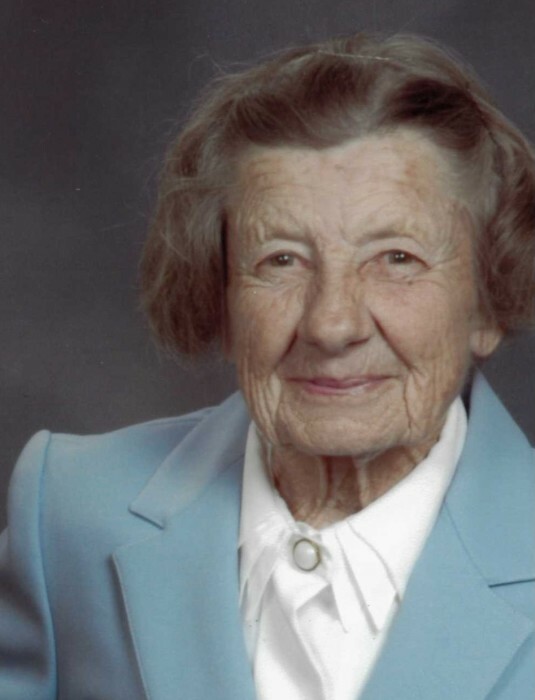 She was an active member of the United Evangelical Lutheran Church in Swiss Alp and later was a member of St. Paul Lutheran Church in La Grange for over 30 years. She is survived by a son Glen Roscher and wife Margaret; a daughter Linda Anders and husband Wayne; six grandchildren: Joshua, Abigail, Colton and Tyson Roscher and Justin and Katie Anders all of La Grange. She is also survived by a niece Lynelle Riggins of Hillsboro, Texas. She was proceeded in death by her husband Eroy of 53 years in 2014, her first husband Atlan O. Witt in 1953, her parents, sister Myrtle Scholtz and husband Alton, brother Harold Maas and wife Hilda and nephew Roy Maas. Memorial contributions can be made to Hospice Brazos Valley in La Grange, La Grange Volunteer Fire Department, St. Paul Lutheran Church in La Grange or to the charity of one's choice. Funeral arrangements are under the direction of Fayette Memorial Funeral Home in La Grange.